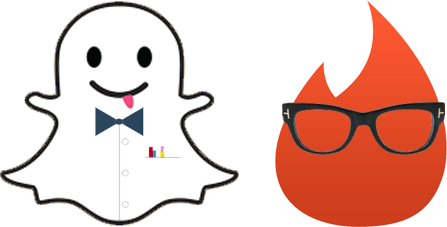 Snapchat and Tinder for the Enterprise? In the words of our founder and CEO, Rajesh Kutty, “It’s not just us, others think so too!” This was the response emailed to us after reading “Mobile First, But What’s Next?” The TechCrunch article focuses on the emerging trend of, what they call, authentically mobile apps – a term describing services that would be extremely difficult or impossible to achieve without taking full advantage of the unique properties of a mobile ecosystem. To put this into perspective, the consumer apps space is riddled with authentically mobile apps like: Uber, Tinder, Snapchat, and many more. These applications would loose their usefulness or novelty outside of a mobile environment. These applications are, also, lacking in the enterprise market. Because miVEDiX is made for end users, our designs are created to make analysis and interaction as simple as possible. Whether the application is being used by physicians, field workers, or sales people, we help users get the most out of their data through authentically mobile solutions. Our best example of this is the physician rounding app. The app makes it easier for physicians to conduct rounds by consolidating patient health histories, sending alerts based on critical health conditions, and acting as a hub for recording new patient information. Through miVEDiX we’ve been able to securely improve operations and improve overall care. But, we’re also working to put these same technologies in the hands of patients. As we make progress in integrating wearable technologies with authentically mobile apps, we get one step closer to making this information meaningful to daily life. And, since it is still “early days” for authentically mobile apps, we’d be happy to fill the gap. What do you think about authentically mobile? Let us know in the comments if you agree with the score card above.